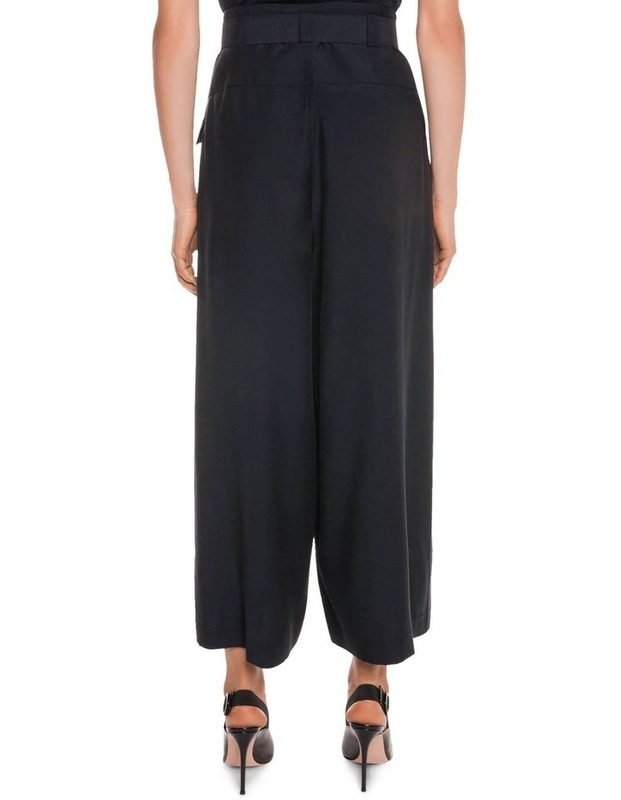 Made from a drapey pique fabric, these wide leg pants feature angled flap pockets at the front and self-waist belt. Fastened with a zip at the centre front. Made in Australia.